NEW DELHI: PepsiCo India is betting big on its brand Aquafina to tap into the fast growing value-added hydration and functional beverages segment, as consumers are lapping up health and wellness products. As part of this strategy, the company has launched its vitamin-fortified water product, the Aquafina Vitamin Splash. The company intends to sustain this strategy with the launch of a number of products in the next three years in the value-added hydration segment under brand Aquafina. Aquafina Vitamin Splash will be available in Kiwi Lime and Raspberry Mint flavours in 20 cities and on e-commerce platforms at ₹30 for 300 ml and ₹50 for 500 ml. The company also said that it is the lowest-calorie vitamin water to be introduced in India. Talking about the company’s future strategy for brand Aquafina, Prakash said: “We plan to launch a new platform (sub-brand or product) every six to nine months in the value-added hydration category under brand Aquafina, for the next three years. Through these launches, we will look at meeting different health and wellness needs of Indian consumers.” It is toying with various ideas, which could include making a play in the herbal and Ayurveda space. 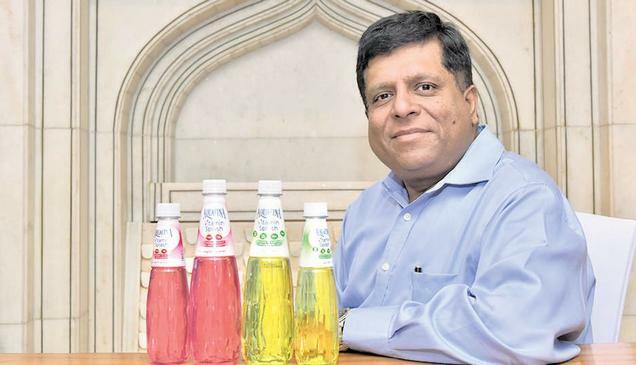 “The hydration category is growing in double digits and we want to grow faster than the category by introducing value-added water products,” Prakash added. Currently, Aquafina brings in over ₹1,000 crore in annual retail sales. The packaged water segment has become increasingly competitive with several players putting pressure on profit margins. At the same time, soft drink companies are also battling with the challenges of slowdown in rural demand, while urban consumers are switching to healthier beverages.